VietNamNet Bridge - The number of wildlife trafficking cases has been increasing at a breakneck speed in recent years. Advertisements for the sale of precious and endangered wildlife species can be found on social networks, forums and websites. Sellers do not find it necessary to hide their names and contact addresses. The Hon Nhan Animal Ecology Park in Nghe An province may get a license to import nine more tigers for breeding and conservation. The owner of the park is the wife of Pham Van Tuan, who has had two convictions for crimes involving the killing and trafficking of tigers and other endangered wildlife species. Tuan is suspected of being the leader of the ring specializing in trading and carrying wild animals across the Vietnam-Laos-Thailand border. Bui Thi Ha, deputy director of ENV (Education for Nature Vietnam), said EVN was worried about the development of tiger farms in Vietnam. The center, after many years of conducting investigations, has affirmed that most farms do not operate for the purposes of educating people about wildlife conservation, but just to legalize their tiger trafficking activities. There are only 30 tigers existing in the wild in Vietnam. Meanwhile, tiger trafficking has been developing rapidly under the mask of legal activities. According to ENV, the number of tigers bred in captivity at private zoos and farms soared from 81 in 2010 to 179 in 2015. The number of wildlife trafficking cases has been increasing at a breakneck speed in recent years. Advertisements for the sale of precious and endangered wildlife species can be found on social networks, forums and websites. 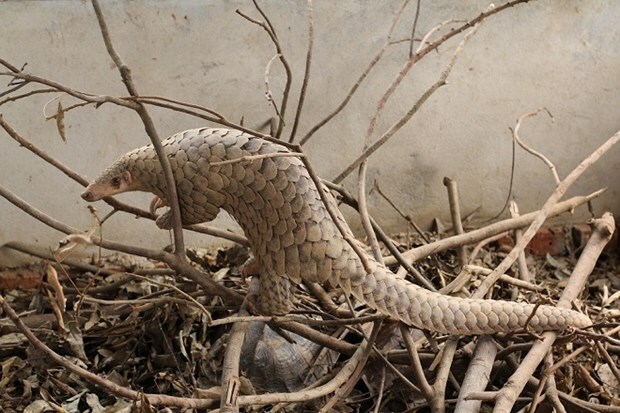 More recently, the Tay Ninh provincial Forest Rangers’ Sub-department granted licenses to local households, allowing them to breed pangolins, an endangered species, prioritized for protection in Decree 160. The local authorities granted the license even though CITES has not confirmed pangolins’ capability of reproduction in captivity conditions. Analysts believe that the number of wildlife trafficking cases has been increasing rapidly in recent years. This can be seen in the numerous of adverts on the internet about the sale of wild animals, including tigers, squirrels, porcupines, pythons and snakes. ENV discovered the adverts first appearing on the internet in 2008, while the number had reached 1,551 by June 2016. EVN also carried out surveys at 26 large wild animal breeding establishments in large cities and provinces in Vietnam and found that 100 percent of the establishments violated the law at different levels. All of the establishments admitted they regularly added animals caught in the wild to their collection, and 89 percent said they did not apply any measures to prevent inbreeding. Many establishments do not issue declarations about dead or newborn animals and buy the animals with no documents to prove the animals’ legal origins.